Three distinctive things come to mind when you think of SF: the Golden Gate Bridge, the Transamerica Pyramid, and Alcatraz. 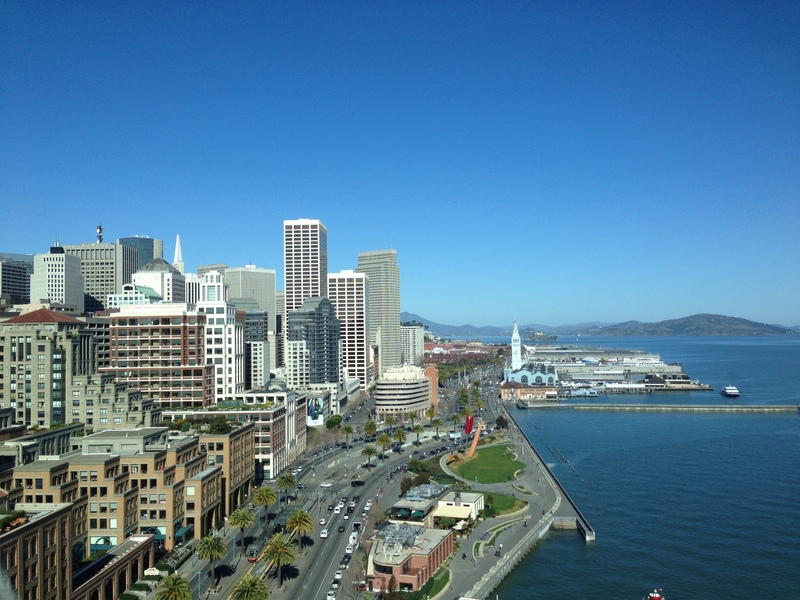 Along with Chicago, New York, Miami, Boston, and Los Angeles — San Francisco takes its rightful place as one of the great American cities in the United States. I find SF closest to New York and Chicago in its style as it is walkable, a center for civic activism, art, and good food. If you happen to be in San Francisco, I highly recommend you visit the Woodhouse Fish Co. for a pleasant dinning experience. From this picture taken while crossing the Bay Bridge (not to be confused with the Golden Gate Bridge) a few things are visible, the top of the TransAmerica Pyramid, that happens to be the tallest building in SF formerly the headquarters of the TransAmerica corporation. Also visible is the San Francisco Ferry building that houses a few restaurants and host to farmer markets on the weekend. 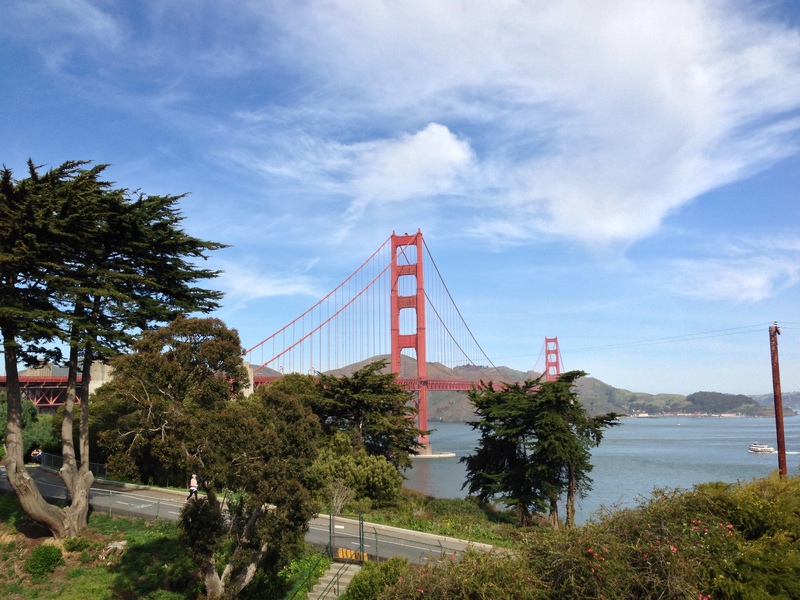 Open on May 28, 1937, the Golden Gate Bridge connects San Francisco to northern California counties. The construction for the bridge was rather fast it took approximately four years, and the bridge was named based on the fact it transverses the Golden Gate Strait which is the entrance to San Francisco Bay. Few people clamor to go to prison, but Alcatraz is somewhat of an exception constructed originally as fort to protect San Francisco from attack, the fort then became a military prison and then eventually a federal penitentiary from 1933 to 1963. 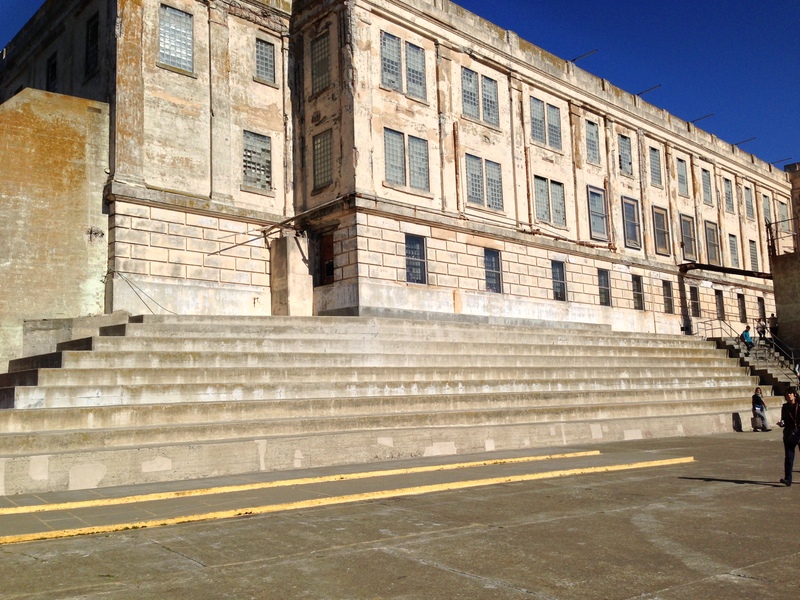 Visitors to Alcatraz not only get great views of San Francisco and the bay, but also get to walk where some infamous prisoners walked such as Al Capone and Machine Gun Kelly. Shawn Adderly Blog at WordPress.com.